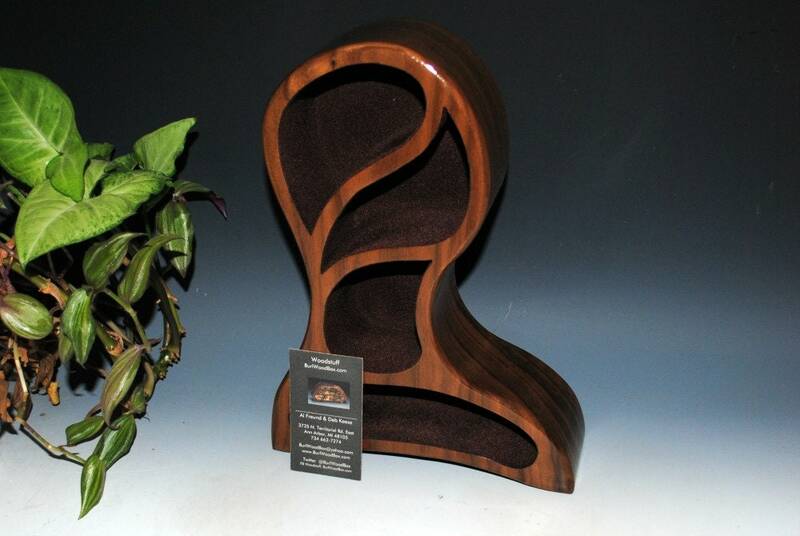 Handmade wooden jewelry box of walnut with buckeye burl in our Picasso style by BurlWoodBox. 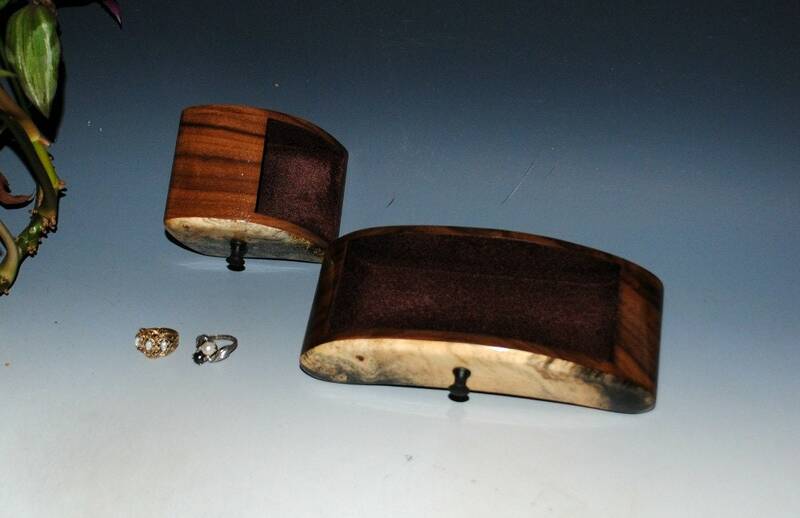 Here's a fun wood jewelry box for storage of your special pieces or keepsakes ! An art jewelry box. A sacrifice of function for form :) Not sure exactly how this form came to be but it does remind me of modern art hence the name. This style handmade box is popular as a gift for any special occasion such as a birthday, anniversary or graduation. 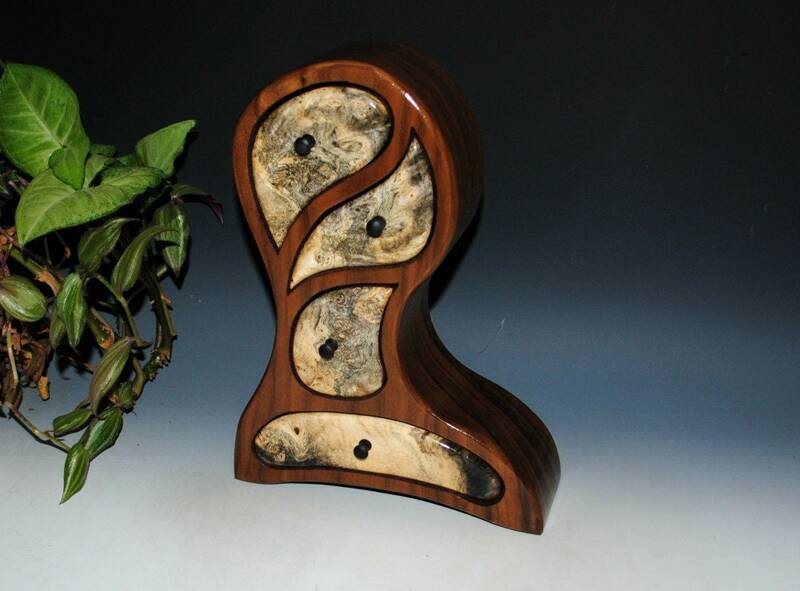 Made of solid walnut and accented with Buckeye Burl. 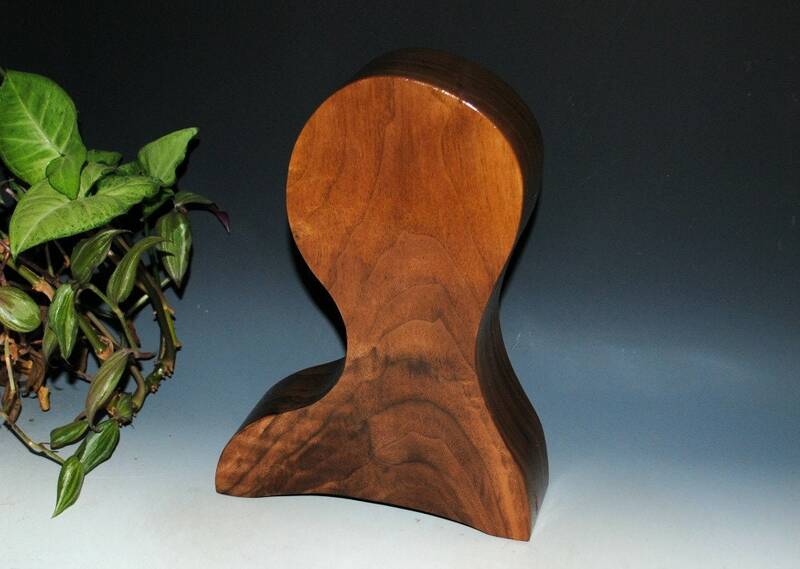 This box has contrast, an eye catching shape and yet is functional. 8" x 11" x 2 5/8". As the drawers are free form it's very hard to get an accurate measurement of size. The box is fully lined meaning that the drawer pockets are also lined to prevent that wood dragging on wood feeling. The lining is brown colored rayon suede-tex flocking. 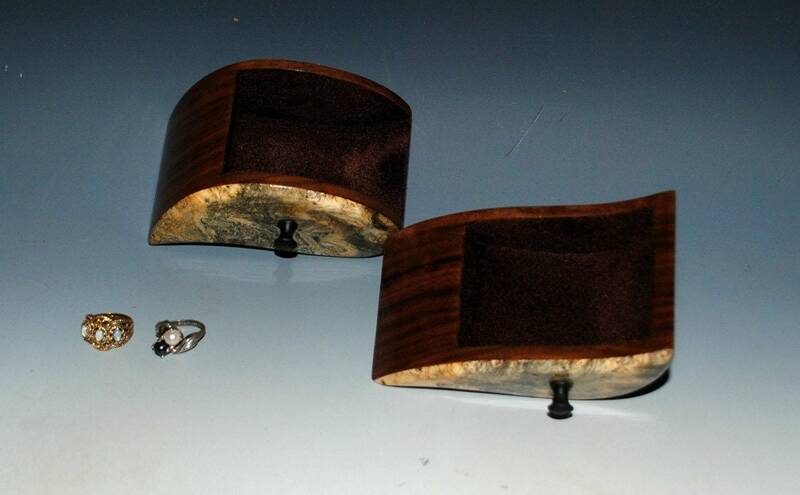 The knobs are brass but covered with hammered black paint as buckeye burl has more than enough bling without accents. We can personalize this box for you with a laser engraving for an additional charge of $10.00. 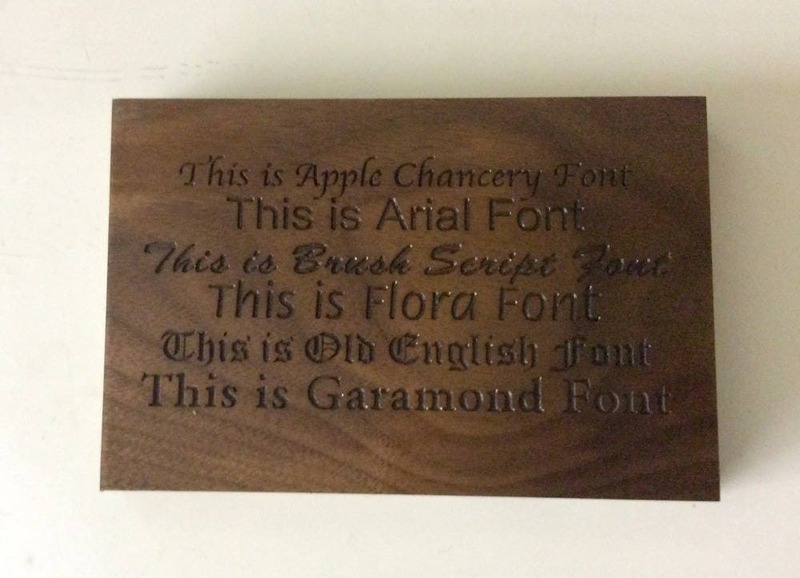 We suggest the back of the box for engraving. Shipping is via USPS Priority Mail with 2-3 day delivery to most of the USA. Others need to contact us to determine a shipping cost. You can see more of our creative style boxes at the following link. 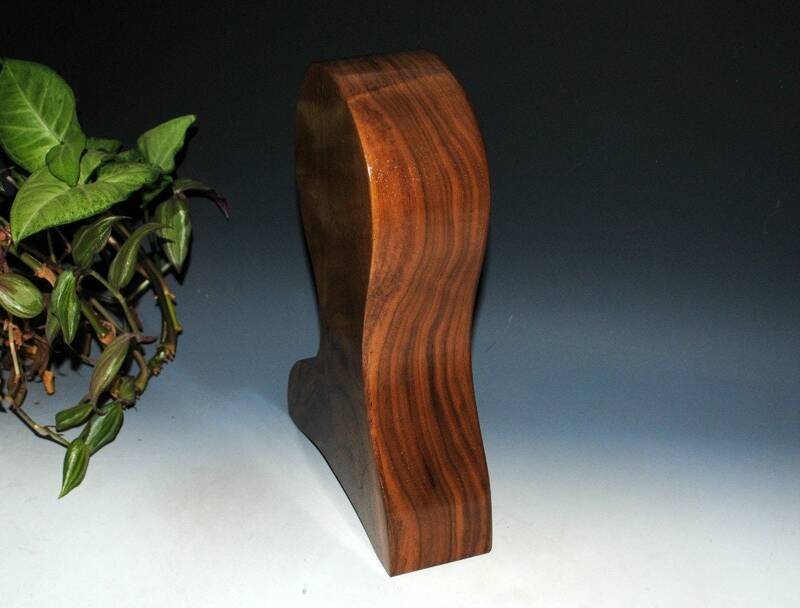 Additional styles of our handmade wooden boxes can be seen on our shop's main page, link follows. 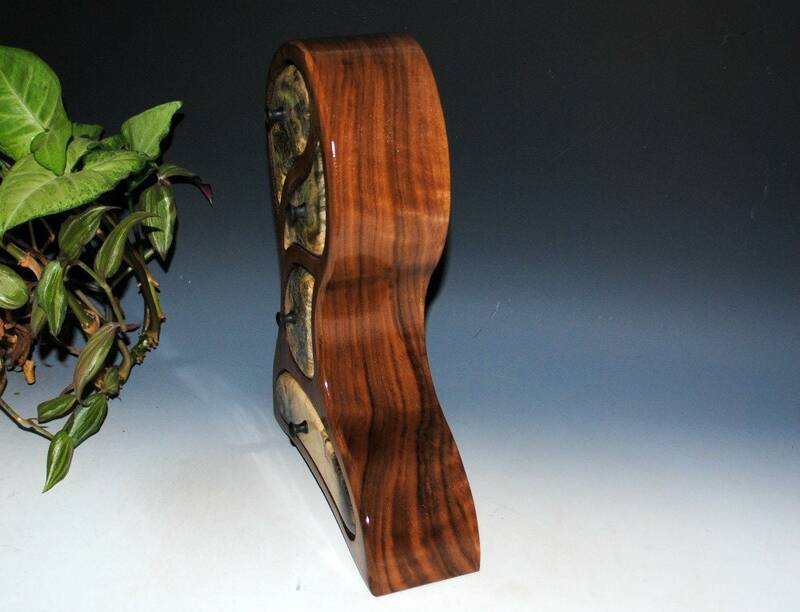 This is a BEAUTIFUL Wood Jewelry box! It's a piece of Modern Art! The craftsmanship is superb. All the drawers are lined in soft brown felt material as well as the inside of the box openings. The drawer pieces fit perfectly and slide easily. The drawers protect my rings with this nice lining. These box makers always take great care with the orders and communication is easy and quick. The piece was very carefully wrapped for safe shipping. I highly recommend this seller! Thank You!